I’ve had a blender and food processor on my wish list for what seems like an eternity, however everything I saw and liked was either very expensive or bulky. 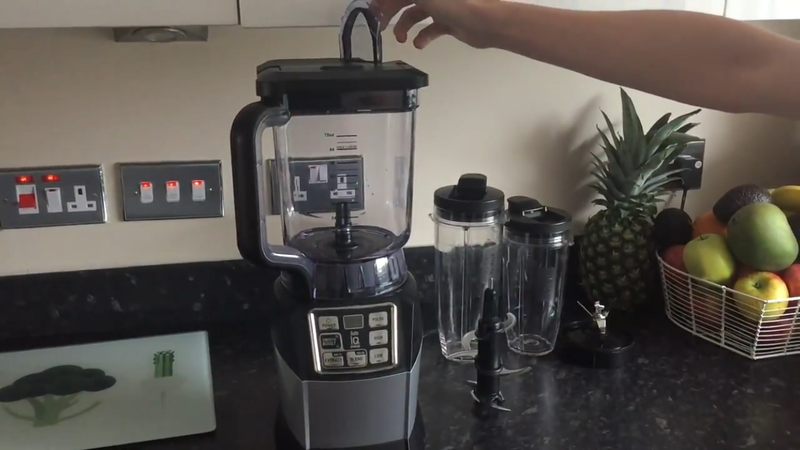 Earlier this month I was given the opportunity to review the Ninja Compact Duo Blender for ao.com. 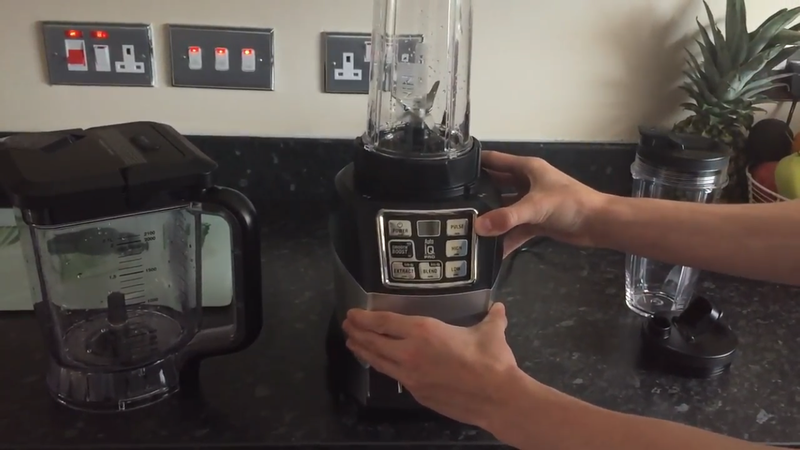 The Ninja Compact Blender Duo combines large capacity Blending and Nutrient Extraction with the integrated Nutri Ninja . That’s two functions in one stylish and compact appliance, making it a perfect fit for any kitchen. Great for Frozen drinks, Cocktails, Deserts, Soups and Nutrient and Vitamin rich drinks and smoothies for all to enjoy. Two Functions, one Base. This Compact Duo Blender does more than just blend. It blends with power, precision and control, saving you not only effort but time. Leaving you with more time to enjoy your delicious creations. 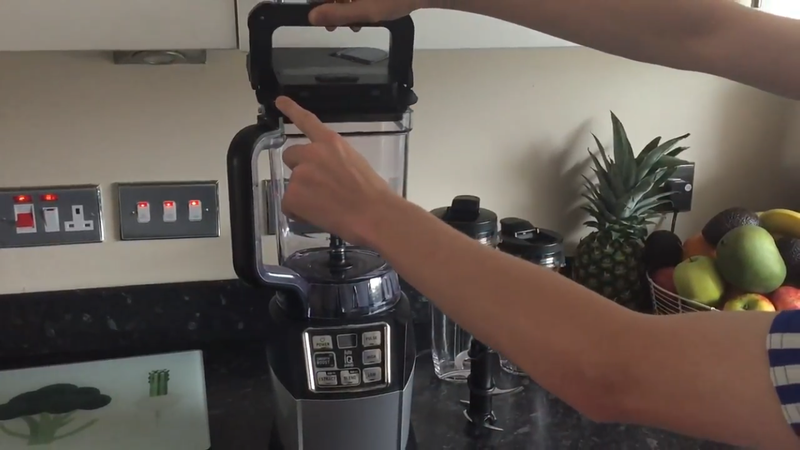 So how does this blender do it? Simply with a combinations of 3 innovative Technologies unique to Ninja. Total Crushing Technology named after its ability to turn ice to snow in seconds. The unique blade formation is powered by 1200 watt motor, rotating up to 20,000RPM blitzing ingredients in to silky smooth soups, dips, sauces, frozen cocktails and drinks. Auto-iQ Technology. Our unique One Touch Intelligence programme that does the work for you. Creating unique blend, pulse and pause patterns, preprogrammed for each setting and attachment. Leaving you with consistent, smooth, great tasting results, all at the touch of a single button. Smooth Boost technology: Working with Auto-iQ technology, extends the unique blend patterns to achieve an even finer breakdown, for super, silky smooth results, just as you like it! Use the 2.1 litre Blender jug to prepare hearty healthy soups, sumptuous sauces, delectable desserts, frozen drinks, cocktails and more. 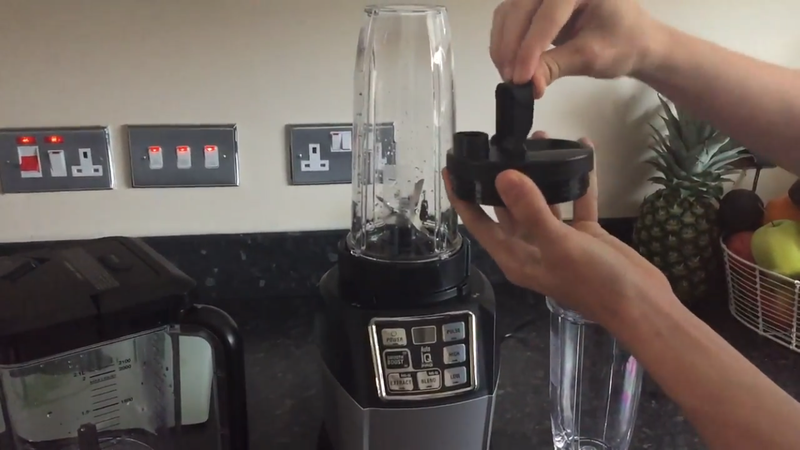 Then switch to one of the two Nutri Ninja cups included in the box for drinks and Smoothies in seconds. Simply stack with your favourite fruits, vegetables, Nuts, Seeds and even ICE. Pop on the specially engineered Pro-Extractor blades, push one button and let Auto-iQ do the work for you. So lets unmask the Ninja…. You can also place the jug on the left side, which is a bonus if you’re left handed. The lid is very sturdy, however It takes some skill to get it in the right spot, you’ll need to match the little arrow pictures by the handle, then push down the lever to seal it. 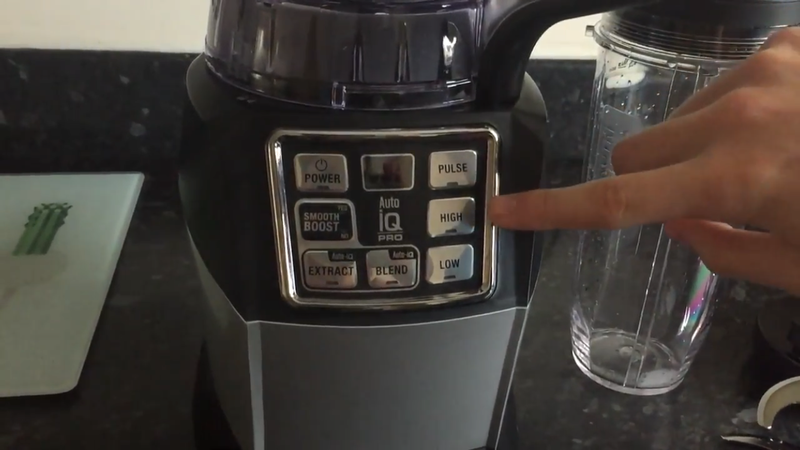 Releasing the lid is super easy, just press the button, and lift the handle. The little spout lid at the tip of the jug, is also hygienic and functional. Crushing ice to snow is super easy. I was very impressed with the specially engineered Pro Extractor blade with Total Crushing Technology which literally turns ice to snow in seconds. Take ice cubes directly from your freezer, and put in a dry Ninja Cup – use the pulse feature in short quick bursts until it’s a snow-like consistency. The base works with all 3 attachments, and has suction cups at the bottom; which can be released by pressing the 2 buttons on the side simultaneously. (The motor is extremely powerful so make sure the surface is dry and clean otherwise, it will loose its purpose). I particularly like how secure and safe it feels. It comes with 2 cups, a small 650ml, and a larger 950ml one. Both have handy spouts lids for drinks on the go or you can store in fridge. The small blade attachment fits both cups. And for added peace of mind, all plastic cups and lids are BPA free, and the blades are stainless steel. There are 3 manual settings on the right: PULSE, HIGH and LOW. 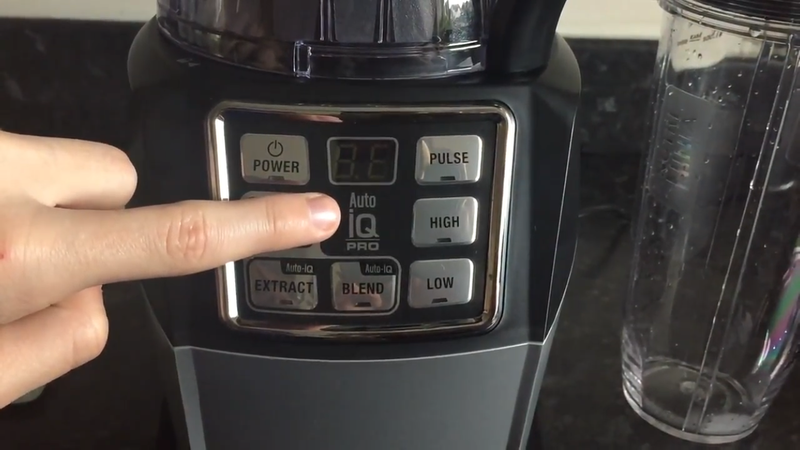 And 3 Auto-iQ buttons: SMOOTH BOOST, EXTRACT and BLEND. EXTRACT should be used when blending hard, leafy, or fibrous whole fruits and vegetables, including apples, kale, and celery. This optimized program allows you to blend fresh items with their skins, seeds, and stems into nutrient extractions. Before using EXTRACT, select Smooth Boost YES or NO depending on your desired consistency. BLEND can be used to make a range of beverages that do not include hard or fibrous fresh ingredients, such as milkshakes, protein smoothies, soft fresh-fruit smoothies, and frozen cocktails. Before using BLEND, select SMOOTH BOOST YES or NO depending on your desired consistency. With the additional Smooth Boost it takes the blender to a new level – breaking down ingredients into an ultra fine, smooth consistency. 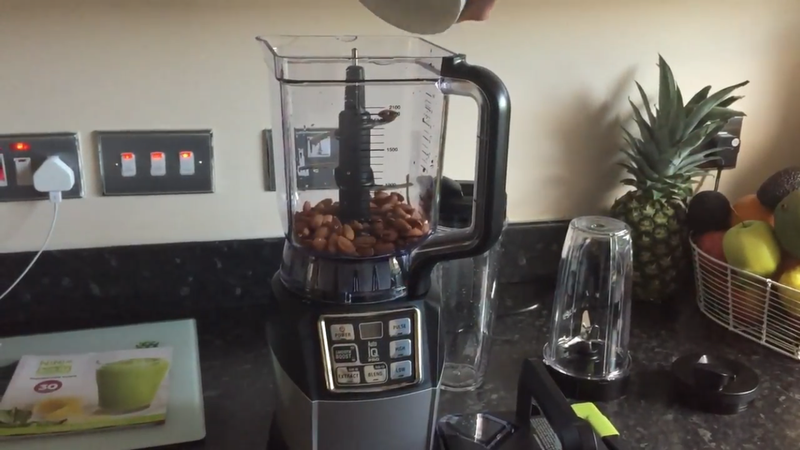 Now I was slightly concerned when the instructions manual only mentioned it could blend seeds so I’ve put it through the toughest stress test – turning raw almonds into almond butter. I added some coconut oil as well to get my desired consistency. 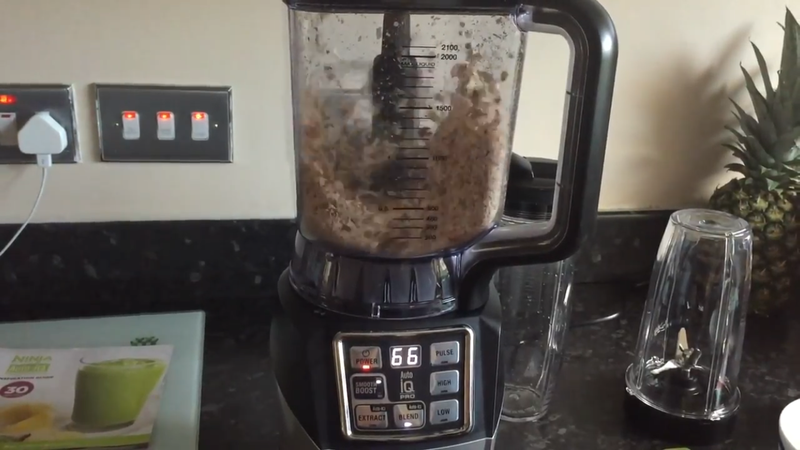 The results are impressive – homemade healthy almond butter. One of the reasons I love this blender is the fact it has a large 2.1Litre jug, I can easily make a vegan dessert, or a healthy smoothie for the kids all in one go. 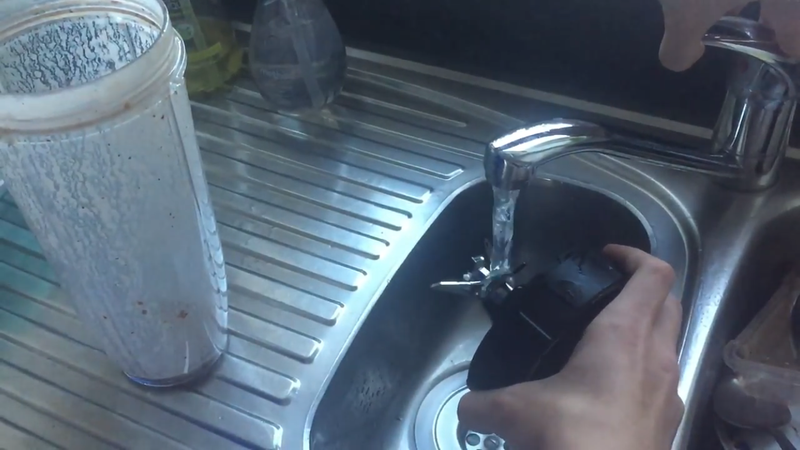 As soon as you lock the jug on the base, it switches on automatically. 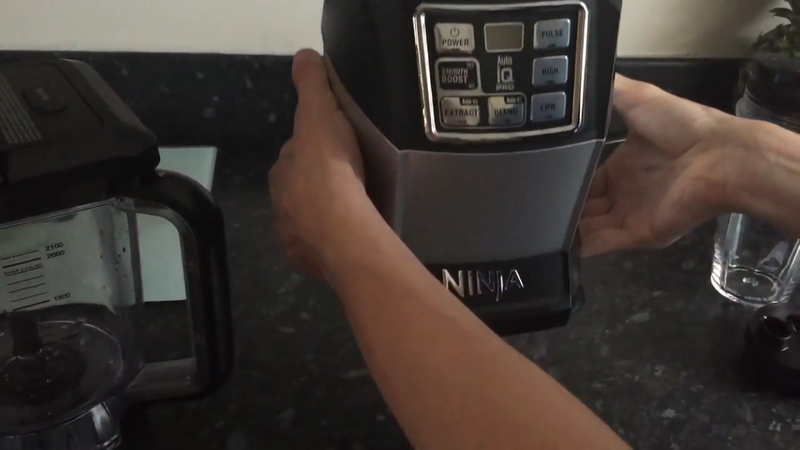 Place the blades on the cup, click Auto IQ, and then Smooth boost and let the Ninja do the work for you. The containers, lids, blade assemblies and attachments are all dishwasher safe. The lids and blade assemblies are top rack dishwasher safe. Ensure that the Blade Assemblies are removed from the containers before placing in the dishwasher. 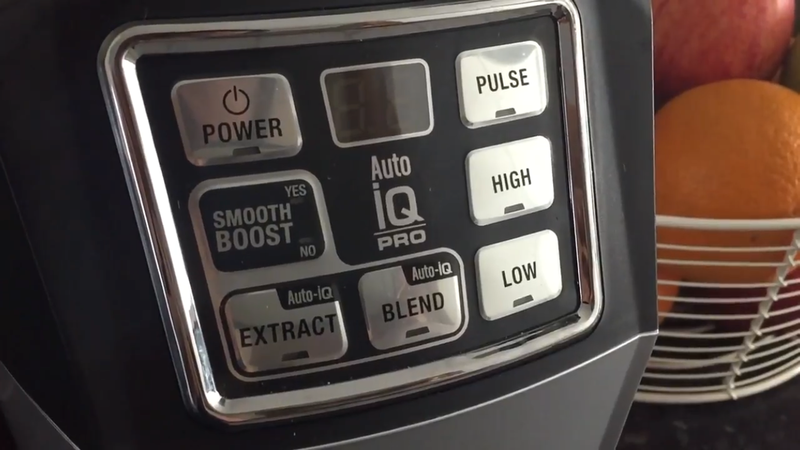 The Auto IQ blending options aren’t as impressive as I thought. All three just run a preset schedule of pulses varying in length and speed. None of them actually change based on what’s in the jar which was slightly disappointing. Although it’s more expensive than the basic Nutri Ninja, the price is still more than reasonable, especially compared to other blenders on the market. Overall, it has excellent blending power, effective and versatile, and easy to clean. 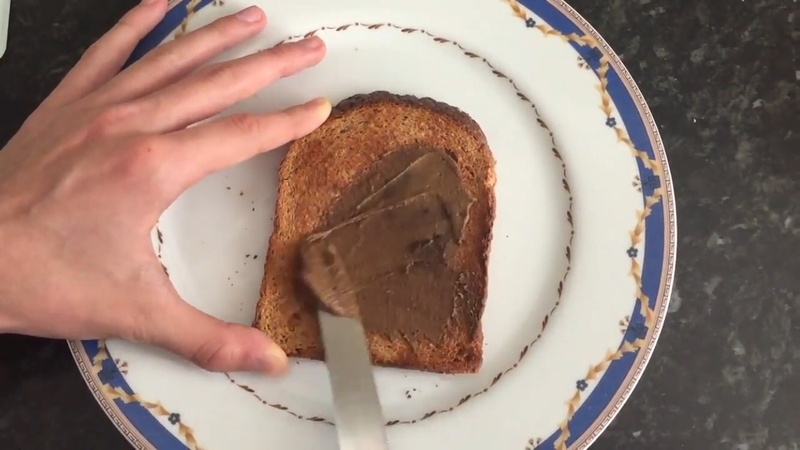 Chocolate hazelnut spread is now a breeze to make, not only does it save you money on the long run but you can rest assured that you’re feeding your family real, unprocessed, healthy food. I hope you found this review useful. Please feel free to comment below. 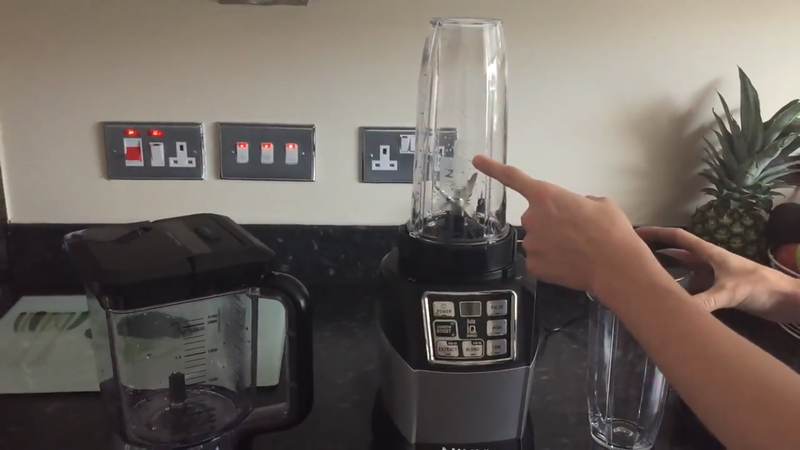 Wow this blender is so impressive! 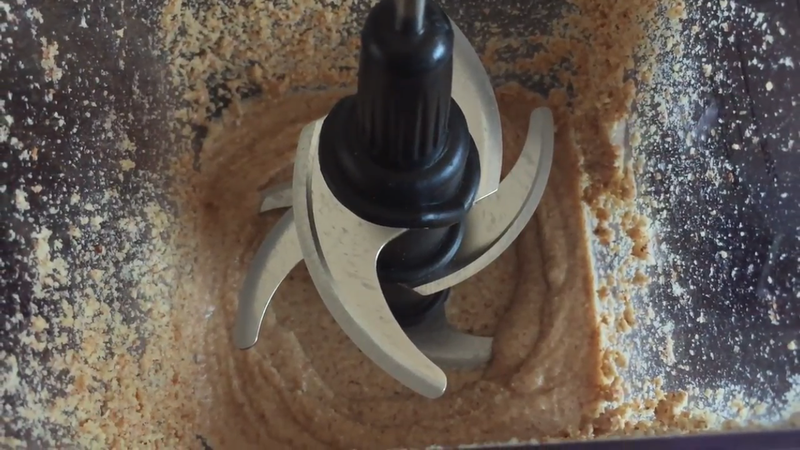 I thought you have to buy a really expensive blender to make nut butters at home, but actually you don’t have to, this one is pretty affordable.